I was in a very gay mood on Sunday. OK. OK. I realize that it's pretty much impossible to use the word "gay" in a sentence like that these days without being totally misunderstood. But once upon a time "gay" was a very useful word in the English language with the meaning of "happily excited, merry, keenly alive and exuberant." 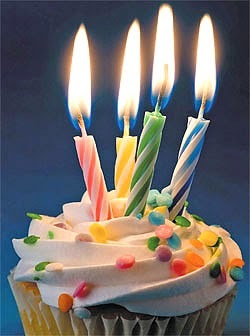 I was feeling happily excited, merry, keenly alive and exuberant on Sunday. I went racing with the Duxbury Laser fleet. There were eight Lasers racing. The fleet was close. The race courses were perfect. The weather was perfect. Everyone was having a good time. Between races one sailor sailed across to me and said something along the lines of, "What a great day to be alive. I don't mind looking at all these transoms on the race course. It's just good to be out here." I totally agreed. I haven't raced much this summer on account of some lower back pain after the Newport Regatta but it was fun to be at it again. Several of my friends have been training hard this summer for the Laser Masters Worlds at Hyères in France in October and two of them were there on Sunday. They were both sailing really well. Smooth. Fast. Smart. Their hard work is really paying off. On the other hand, my results weren't anything to write home about. In my best races I was third or fourth, I think. I'm not going to write home about the other races. So while we were racing, I was shouting random phrases in my bad schoolboy French at my two friends who are going to the Worlds to acclimate them to what it will be like sailing in France. "Cette fille est très rapide!" "Trichez la maison de soins infirmiers. Mourrez sur votre Laser!" And from time to time I would break into a rousing verse or two of La Marseillaise, for the same reason. "I'm just happy to see my friends sailing so well." 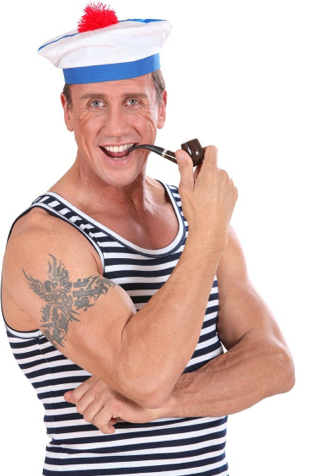 There was a French sailor from Hyères.. Helpful hint: Hyères rhymes with "sea air." Regular readers of this blog will know that from time to time I suffer from lower back pain. But I think the last two bouts have been brought on by my bad posture while spending way too much time hunched over a computer writing blog posts and other stuff. 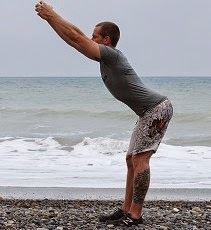 /Pam over at the Improper Course blog (where did they get that name from) posted some advice on the issue the other day at No More Back Pain. And there's plenty of other advice on the Internet including many videos on how to contort yourself into various poses and if you only do them for 6 hours a day, 365 days a year you will never experience back pain again. Or you could go to a doctor who will chop off parts of your spine, or stick together parts of your spine, or replace parts of your spine, or implant some doohickey in your spine. 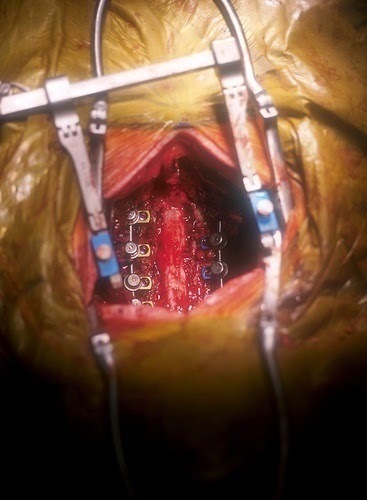 You know the old saying: If all you have is a scalpel, the solution to everything is back surgery. (Or something. 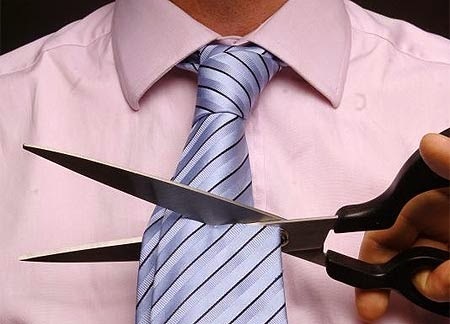 Or if you are not into knives then you can go to a man or woman with big hands called a "chiropractor" who will push and pull at bits of your back and make it crack a lot and then give you a bill and never tell you that you would have got better anyway without having him or her crack your bones. But now there's a better solution. At least for people like me who mess up their backs with bad blogging posture. There's an app for that. Or to be more accurate a device and an app. It's called the Lumo Lift. The Lumo Lift is a small device that you place on your clothing near your collar and it detects the curvature at the top of your spine. When you slouch, your spine curves, and the Lumo Lift gives a small buzz to remind you to straighten up. (Just like your Mum and your schoolteacher and your drill sergeant used to.) 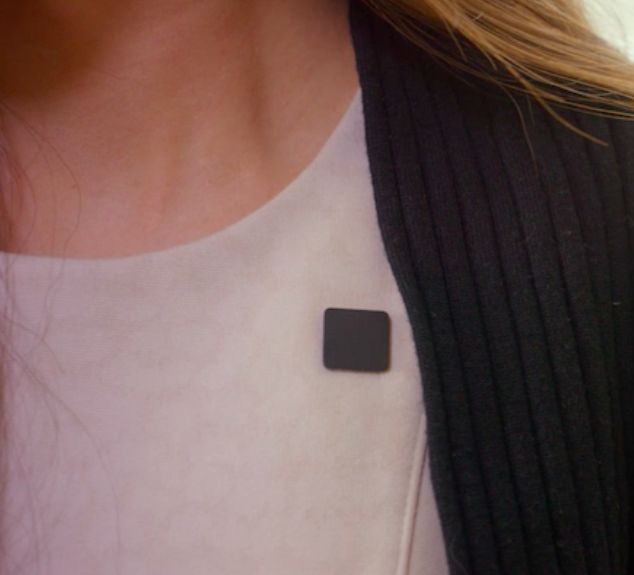 The Lumo Lift can also track your physical activity like the Fitbit and other gadgets. A few days ago I posted a request from a group of Canadian Laser Masters Sailors. They wanted ideas on where to go on a US East Coast Laser Road Trip starting at Florida Masters Week in February and ending up at the Masters Worlds at CORK in July. Several of my readers gave them suggestions in the comments and this post is my contribution. First of all - and I am sure my Canadian friends already know this - this trip needs to be planned taking into account where major regattas of interest (especially masters regattas) are being held in 2015 and where and when each Laser district on the east coast is holding its district championship next year. And a lot of that information is not published yet. Another difficulty in planning such a trip is that it's hard to find events to do in the first few weeks immediately after the Florida Masters week in February. Although one option is certainly the open Masters Midwinters East in Clearwater, Florida on Feb 18-22. Having moved the motorhome and Lasers to Clearwater, I think I would see if Kurt Taulbee of SailFit was available to run a sailing clinic for the group some time in March in Clearwater. I always have a good time and learn a lot there. Then if there's anything going on in March or early April in District 12 (Georgia, North Carolina and South Carolina) I would go there, especially if it's in Charleston or Wrightsville Beach. 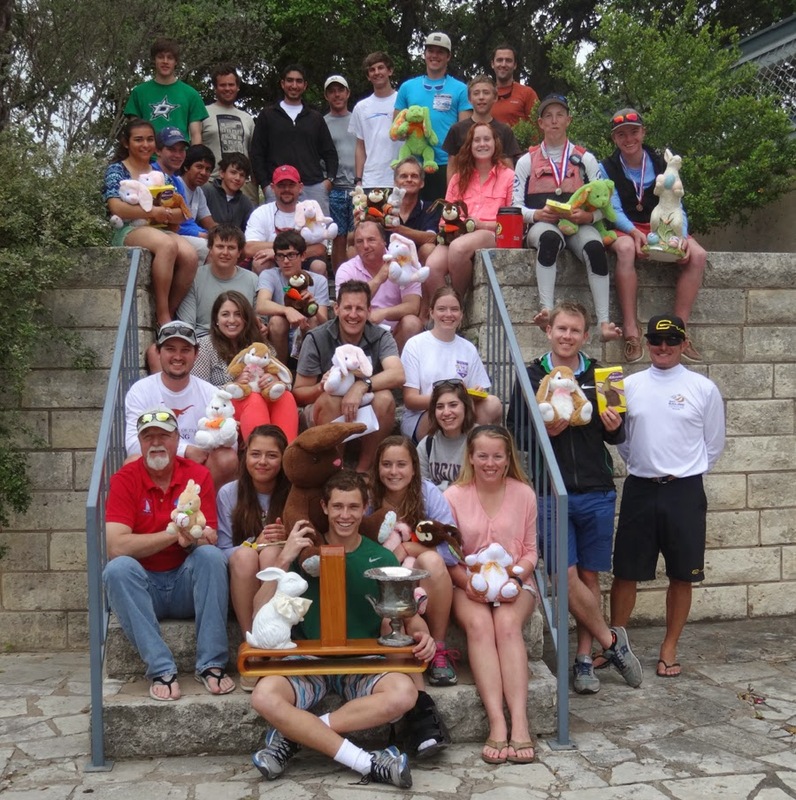 Or if they are up for a longer drive, the Canadians could head over to Austin Texas and sail in Fred Schroth's famous Easter Laser Regatta on April 4-5. I've never done it but it looks like a hell of a lot of fun and is legendary in Laser circles. Apparently it's America's Favorite Regatta!! It says so on the website so it must be true. After any District 12 events, it's time to hit District 11 (Delaware, Maryland, Virginia and West Virginia.) Some of my favorite places to visit there are Fishing Bay YC in Deltaville VA and Severn Sailing Association in Annapolis. I see that D11 usually has an early season opener at SSA at the end of April, the Sunshine Open, so I would definitely plan to include that. Then onwards and northwards to District 10 (New Jersey and Eastern Pennsylvania) my old stomping ground from 1989 to 2007. They have a very active spring and early summer season with a regatta almost every weekend from the end of April onwards. Take your pick. 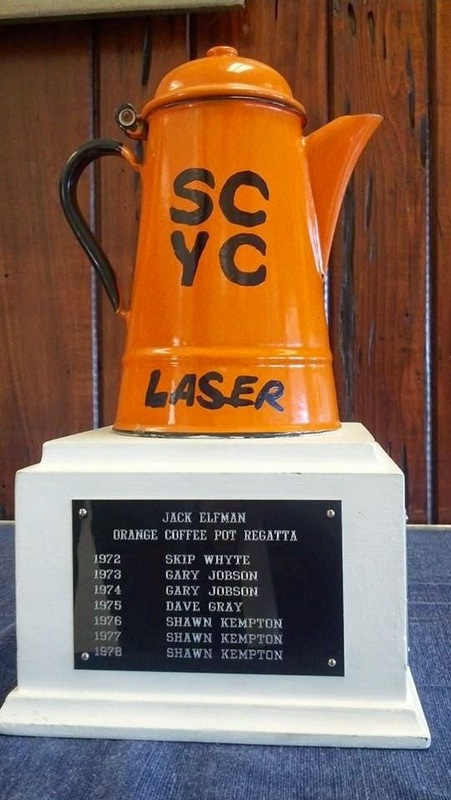 One regatta in D10 that should be on every Laser sailor's bucket list is the Orange Coffee Pot at Surf City YC, the oldest Laser regatta in the world - it has been raced every year since 1972 and this year was held on the last Saturday in May. What a hoot if some old fart took the treasured trophy back to Canada. If time permits, the Canadians could also take in a regatta in District 8 (eastern New York - mainly Long Island.) One of the events on the eastern end of Long Island, anything at Sayville YC and perhaps the D8 championship. But then, saving the best for last, the Canadians absolutely have to spend some time in District 7 (New England) the absolute mecca of Laser sailing. (Perhaps I'm a bit biased.) Apparently they need to be back in Canada by the second week of July for the Masters Worlds which means, unfortunately, they will probably miss all of the D7 signature events like the Newport Regatta, the Hyannis Regatta and the Buzzards Bay Regatta. But they should definitely aim to take in the Wickford Regatta which will probably be in early June. I can't do better to describe it than to quote from the regatta website. The Wickford Regatta is a celebration of One-Design Fun. First held in 1972, the Wickford Regatta was one of the first Laser events in the world. In subsequent years 470s, 505s and Flying Dutchmen made the Wickford Regatta the premier springtime event on the East Coast for the balance of the 70’s. The Wickford Regatta came out of hibernation in 2009 in spectacular fashion and this year will be better yet. Great sailing, a great party, lots of cool boats and the warmest hospitality you will ever experience. Come and have a blast! The racing is on the West Passage of Narragansett Bay with launching from the soft sands of Cold Spring Beach. The Canadians may also be able to fit in some of our smaller D7 one day regattas in New Hampshire and Maine held around the end of May and beginning of June. Finally, another must do is the John Bentley Regatta at New Bedford YC, usually held towards the end of June. 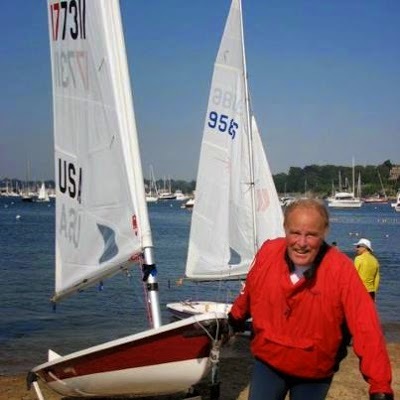 I'm sure many of the sailors on the Real Canadian Masters Sailing Team will have known John Bentley, who sadly passed away in December 2012. John ran this regatta himself for many years and it has been renamed in his memory. What better way to finish up the east coast road trip by sailing with John's old Laser sailing friends at a regatta named in his honor? OK. That's my suggestions. I'm happy to refine this list as dates of events get firmed up over the winter. And if any of my readers have other ideas, please let the RCMST (or is it RMCST?) hear from you in the comments to this post. 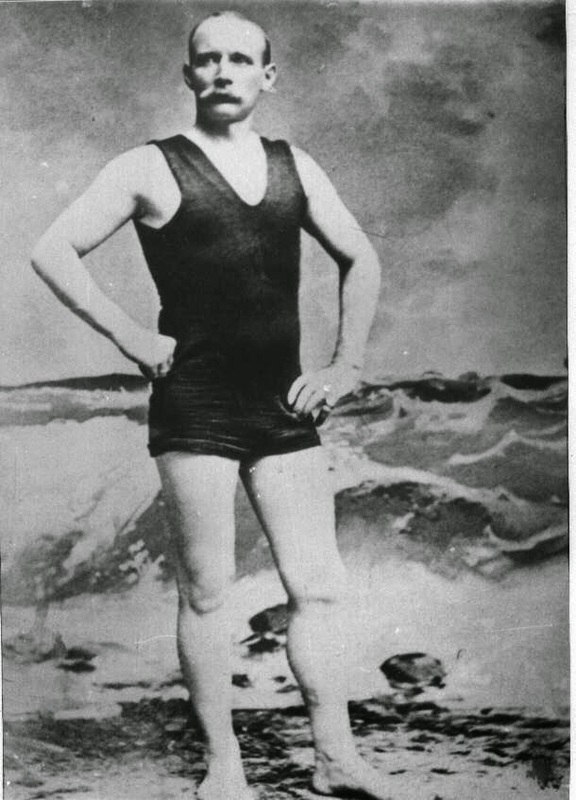 On this day, August 25, in 1875 Captain Matthew Webb became the first man to swim across the English Channel. Smeared in porpoise oil and despite stings from jellyfish he swam from Dover to Calais in 21 hours and 45 minutes. In 1883 he attempted to swim across the Niagara River just below Niagara Falls. Many though the stunt was tantamount to suicide. They were right. He was drowned in the whirlpool. 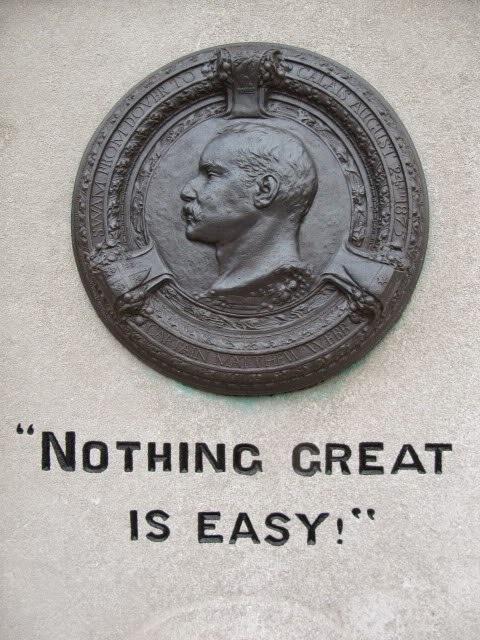 His memorial stone in Dawley, Shropshire, England has the inscription, "Nothing great is easy." Captain Webb is also commemorated in John Betjeman's poem "A Shropshire Lad." My eldest grandchild - smart, talented, funny, kind Emily - is now a solo kayaker. 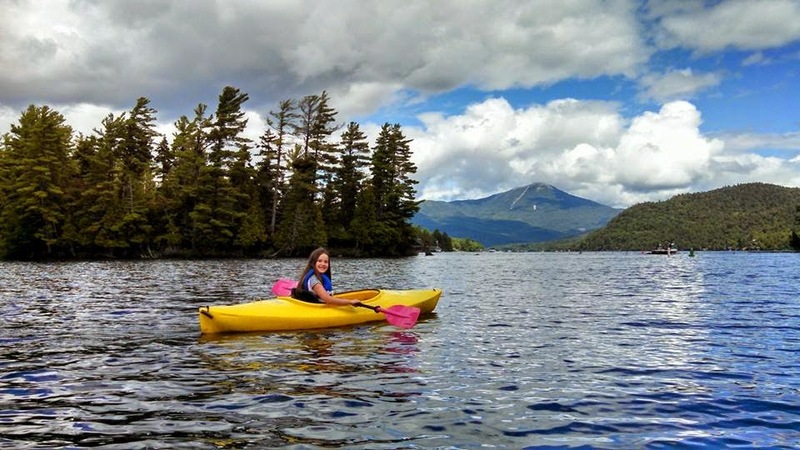 And what a place to learn - in the spectacular scenery of the Adirondacks. 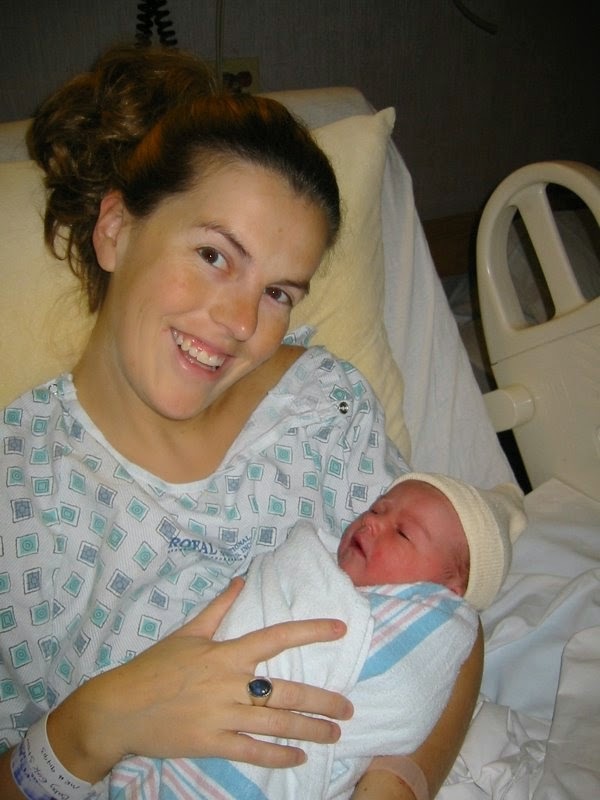 Hard to believe she is the same baby in this photo from less than 9 years ago. I've been to the Laser Training Center at Cabarete in the Dominican Republic several times. 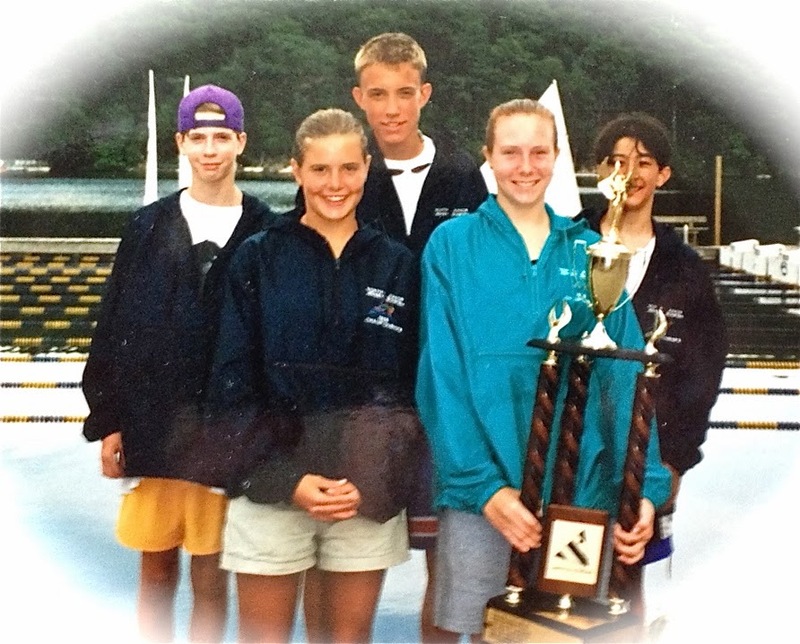 Next winter they will have a new coach, Judith Krimski, who writes the Center of Effort blog. I would really like to go back to Cabarete next winter, maybe with a group of local sailing friends. Today I came across this photo. 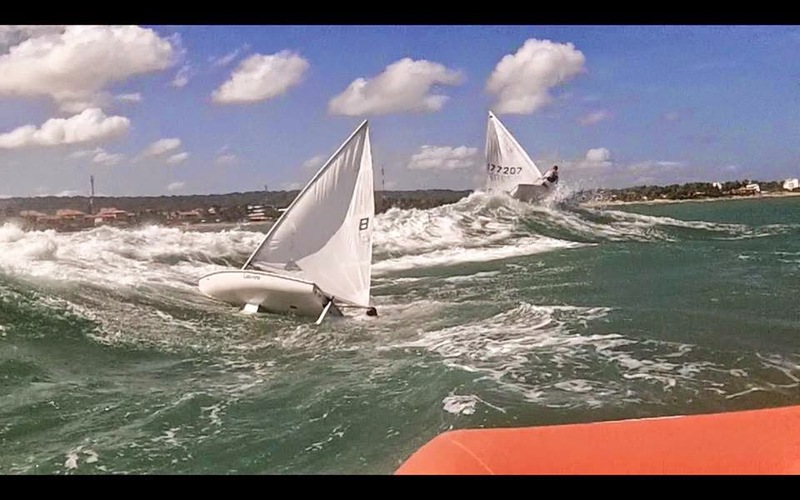 It's from a Facebook group set up for Laser sailors who were at Cabarete from 12-15 January this year and it was posted by Kristian Joos. I have to say it brings back memories of what it is like sailing there. It's a very typical scene. All of my posts about Cabarete can be found here. This morning I received the following email which speaks for itself. Please let David have your ideas in the comments. Even if you are not a Laser sailor you can surely help with the planned research project into beers of the US east coast! Thanks. A group of masters, GMs and one GGM, none of whom have ever done a laser campaign, would like to. We are all located in or close to Calgary, Alberta. Very preliminary planning has produce some ideas, a motorhome, a driver willing to drive forever, and a trailer that will hold 6 lasers. Our thinking so far is that our motorhome would tour either the east or west coast. Participants could travel with the motorhome or fly in to as many regattas as they want to participate in- most of our participants still work to feed their laser habit/addiction. Probably we would look for B&Bs, camp or hotels, as well as using the motorhome, for accommodation at regattas and on tour. 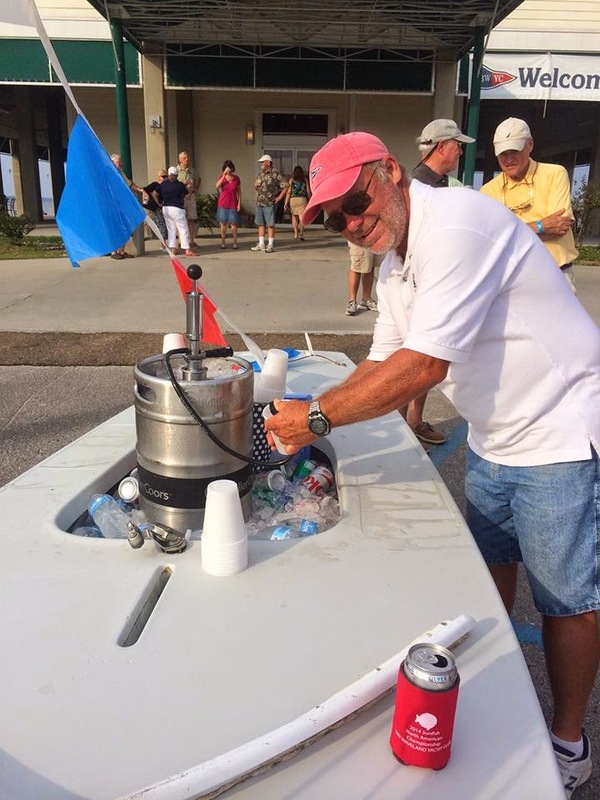 We are relatively familiar with the US west coast regattas, but not at all with the east coast, other than from your blog and regatta reports. One thought we had was to do the Florida Masters regattas and then move up the coast slowly, ending up at the Worlds at Cork next year. We would like to participate in both large and small regattas, and training nights, and dip inland from time to time. We plan to offer some Canadian Calgary hospitality wherever we go, and may be able to offer some race committee help. 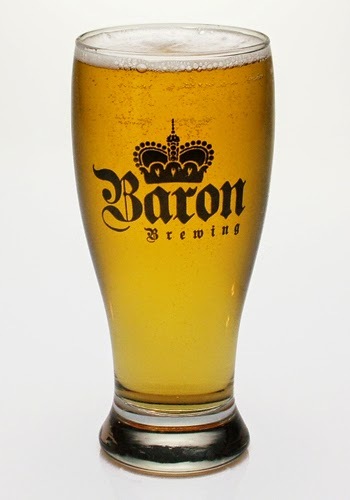 One research project in which there seems to be particular interest is local beers of the east coast. Where should we go? Can you or your readers help us plan a route or suggest friendly regattas? With thanks, and appreciation for Proper Course. PS. 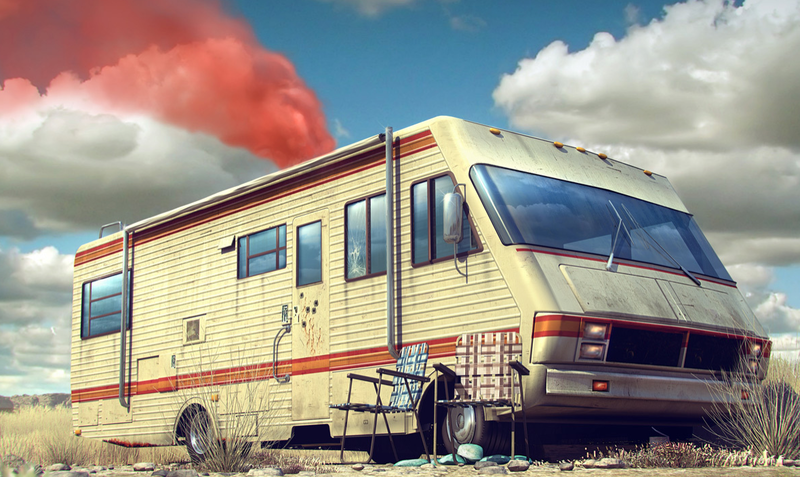 The photo at the top of his post is NOT of the motorhome that the Canadians are planning to use. I'm sure many of my readers will know this particular vehicle already. Four years ago today, 18 August 2010, this ad appeared on the Scuttlebutt Europe newsletter. We are looking for enthusiastic and well established marine dealers to become national or multi national distributors in the European region for the Bruce Kirby designed Olympic Sailing Dinghy. This well established brand has already attracted over 200,000 devoted sailors globally and its long term future remains extremely positive. Over 4500 new boats were produced in 2009. Further details will be available after receipt of your expression of interest. I remember seeing it at the time and thinking it rather strange. The ad obviously refers to the Laser but I had no idea who Global Sailing Limited was. The country code for the phone number is for Australia. Why would someone in Australia be looking for dealers to sell Lasers in Europe? There was already a well-established Laser builder in Europe, Laser Performance Europe (LPE). And why was Global Sailing being so coy about actually calling the boat a Laser? And what would LPE think about someone from the other side of the world trying to sell Lasers in their territory? I am doing research for an article I am writing about the Laser sailboat and I came across your item in the Scuttlebutt Europe newsletter, which said that Global Sailing Limited is looking for dealers to become national or multi national distributors in the European region for a boat which, judging from the description in the ad, can only be the Laser. I was wondering if you could give me some background on Global Sailing Limited, what business you are in today, who the principals are, whether you have any relationship with the current Laser manufacturers in any region, and how you acquired the rights to market Lasers in Europe. Never did get a reply. Then in the spring of 2011 it all became clear. Bruce Kirby (the designer of the Laser) revealed that he had sold his design rights two and a half years previously to Global Sailing which is owned by the Spencer family of New Zealand and, by the way, the Spencers also own the Australian Laser builder. 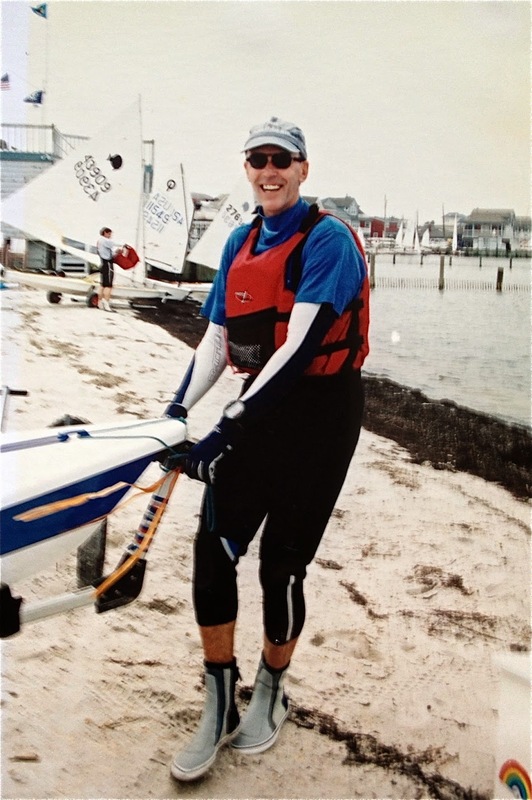 Then a dispute about the design rights and associated royalties arose between Global Sailing and LPE, the Laser class changed its rules so that LPE could carry on producing class legal Lasers, and Bruce Kirby ended up filing lawsuits against LPE and its owner and various sister companies and the Laser class and even ISAF. I have no idea when this mess will all get sorted out. Apparently the lawyers for everyone involved are working away diligently (and billing all their clients I assume) and it's all supposed to go to trial some time later this year. I think I'll go sailing. What else is there to do? There was a regatta last weekend. It was a national championship. If five (5) or fewer races are completed, all scores shall be counted. If six (6) races are completed, a boat’s worst score shall be dropped. Who won. A or B? Do you think this is a fair outcome? 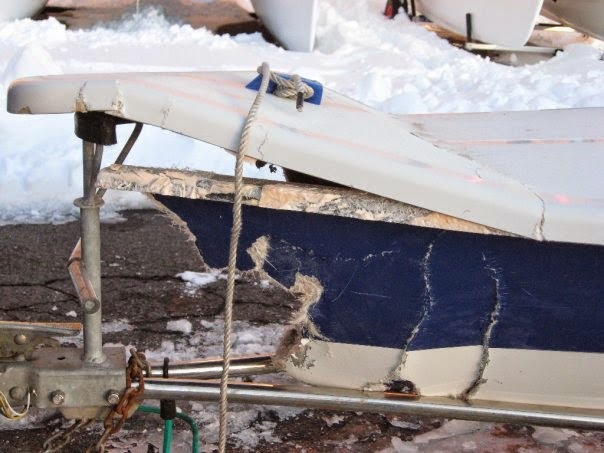 Bonus points for revealing what the crew of the non-winning boat did next. 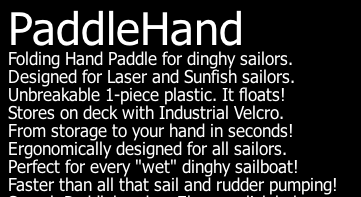 And I can confirm after exhaustive (not to mention exhausting) product testing of the PaddleHand on my Laser last Thursday... that it performs exactly as promised and I will never go sailing without it again. I received a PaddleHand to review at the end of April and I took it with me sailing on 27 days in May, June and July. 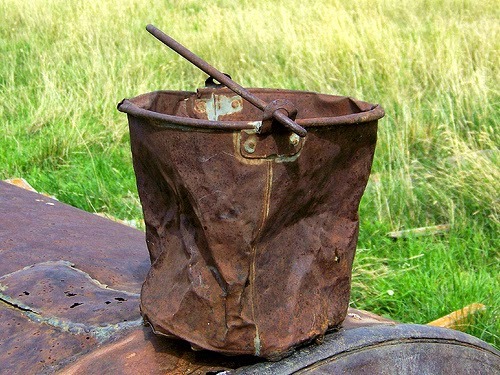 But not once on those days did the wind become light enough to require the use of a paddle. Then in July I hurt my back so I didn't go sailing for a few weeks. Finally this month I felt my back injury had healed enough for me to hit the water again. The weather forecast on Thursday promised a gentle 8 knots from the north, but the weather forecast was wrong. The wind died almost completely after I launched in Bristol so I got out my PaddleHand and paddled out from the mooring field into open water where some zephyrs were teasing me to sail. I did sail for an hour or so. Sort of. To say the wind was light, shifty, and variable would be a euphemism. But it felt good to be on the water again and sorta kinda moving. Then I had to use the PaddleHand again to return to the beach. This is what it says about the PaddleHand on the PaddleHand website. 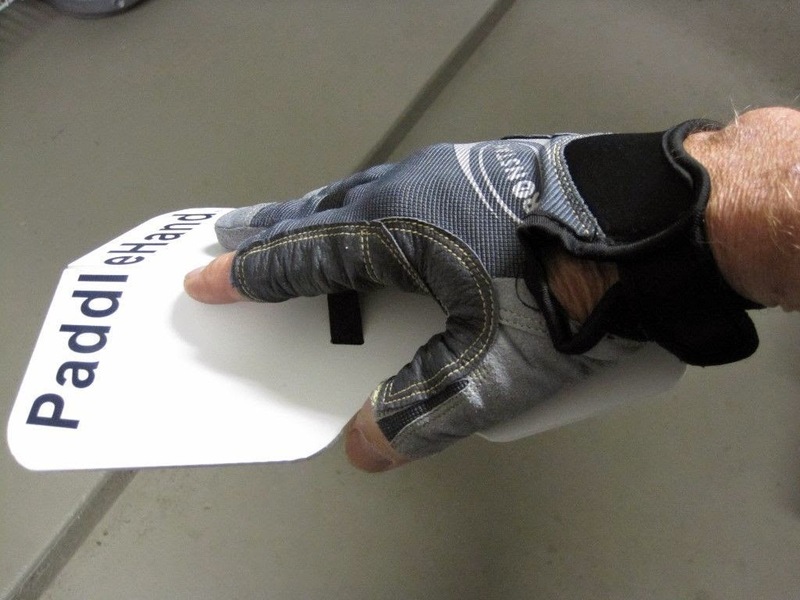 When using the PaddleHand I lay face down on the foredeck and paddled with it using my right hand. It seemed to be propelling me along quite nicely. Just for comparison purposes I tried paddling with my hand only, and it was way way slower. On my way back to the beach after my sail I did a more scientific test. I used the PaddleHand to paddle a measured distance, from opposite the Thames Waterside Bar and Grill at the end of State Street to Quito's, another waterside restaurant, this one at the corner of Independence Park. (Don't ask why I measure distances on the water by using waterside bars as landmarks. I just do.) I would paddle for about 30 strokes and then let the boat glide for about 30 seconds or so. Then repeat. So a fairly relaxed effort. It's about a fifth of a mile from the Thames Waterside to Quito's (if you are relatively sober) and it took me about 6 minutes on the water. So by my calcuation that's about 2 mph. It may not sound super fast but it's better than sitting around waiting for the wind to come. And one of these weeks after Tuesday night sailing when the wind has totally died and the sun is setting, the PaddleHand will help me beat all my sailing companions to the beer. And after all, winning the race to the beer is what it's all about, isn't it? Go to paddlehand.com and buy one. You too can be first to the beer. The Mistral takes place each time there is an anticyclone, or area of high pressure, in the Bay of Biscay, and an area of low pressure around the Gulf of Genoa. When this happens, the flow of air between the high and low pressure areas draws in a current of cold air from the north which accelerates through the lower elevations between the foothills of the Alps and the Cevennes. 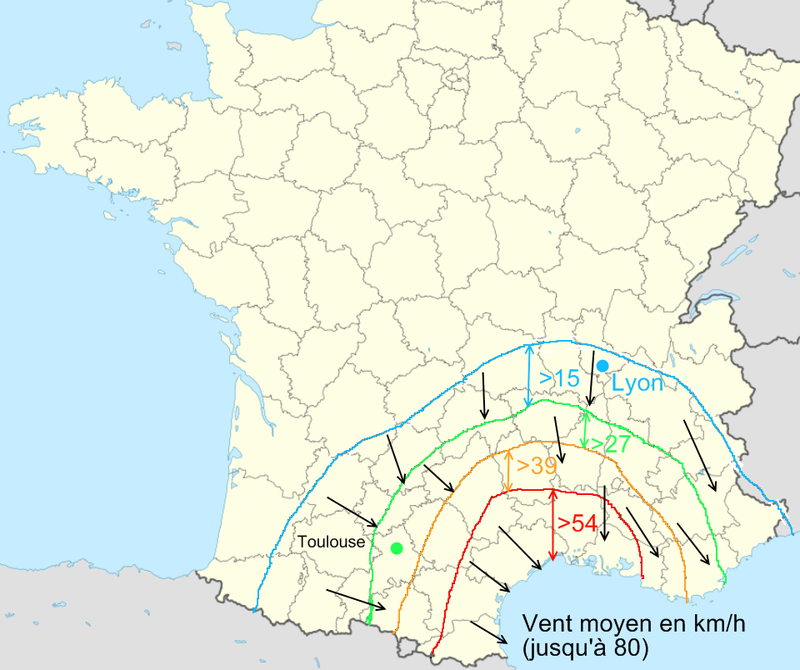 Wikipedia also has this map showing the force of the Mistral one day in November 2008. And if you want to see what it is like to sail a small boat in the Mistral, here is a video of Stu McNay and Graham Biehl in a 470 fighting the Mistral breezes to make it back into the harbor. Only 59 days until the first day of racing at the 2014 Laser Masters Worlds in Hyères. It's not widely known that Bruce Springsteen was part of the Laser sailing scene on the Jersey Shore in the early 1970s. He raced Lasers at all the clubs up and down Barnegat Bay even though he was never very successful. New evidence has recently come to light about the origin of what is widely recognized as one of Springsteen's best songs, Badlands. At an estate sale last month in Freehold NJ, a New York music collector discovered what appears to be an early version of the lyrics of Badlands which were handwritten on the back of a copy of the sailing instructions for the 1975 Orange Coffee Pot Regatta at Surf City YC. They have not yet been authenticated but there seems little doubt that they are in Bruce's own hand and that the song was originally inspired by his frustrations as a Laser sailor. I want to win right now. for a trophy that just don't come. Bad winds, why do I get them every day? As the price I've gotta pay. 'Cos these bad winds are all I got. That will make your back burn. till you get your facts learned. learned real good right now. I wanna spit in the face of these bad winds. Or to be more precise, where was I? This photo wasn't taken today. What is the event I am sailing in? Photo posted by Seth Cooley on Facebook. Photo posted by Amanda Callahan on Facebook.